We’re slowing getting closer to that long-standing goal of paperless offices (and home offices), but, unfortunately, we’re not there yet—and if you’ve got a printer or two installed at home the costs can quickly rack up. Yet with a little time and some effort you can drive the costs down while still churning out page after page of Mapquest directions or FedEx shipping labels. If you’ve never delved into the settings dialog box for your printer, now’s the time to do so, via Devices in Settings in Windows or Printers & Scanners in System Preferences on macOS. There are various ways you can tweak the output to save on ink and cut down your costs, and if you’re doing a lot of printing then the savings can quickly add up. The exact options available will vary depending on your printer but the basic ones can be found on all models: the option to print in draft (or super draft) mode, which cuts down on the amount of ink used and can sometimes make things look faded, and the option to print in black and white only, which will avoid using pricey color inks all together. Both will save you money in the long run. Your choice of printer may well come with some more advanced ink-saving options of its own too. It’s usually best to stick with the ink cartridges that are officially approved for your printer—those made by the same manufacturer—as they’re the only ones guaranteed to work perfectly with the model you’ve got, but there’s some scope for saving money if you shop around various online outlets rather than buying ink directly from the website (or a big box store like Wal-Mart or Best Buy). Buying in bulk can also save you money in the long run, even if there’s a bigger financial hit to absorb to begin with (keep an eye out for special offers). You can use unbranded cartridges and refills too for even bigger savings (especially if quality isn’t paramount), but make sure you do your research carefully first, and check reviews from other users. Think about who you’re printing for: if they’re going to be happy enough with lower-quality paper then you can make big savings on the type of paper you buy. Another well-known trick is to switch to duplex printing, which prints two pages on one sheet of paper, if your printer supports it. 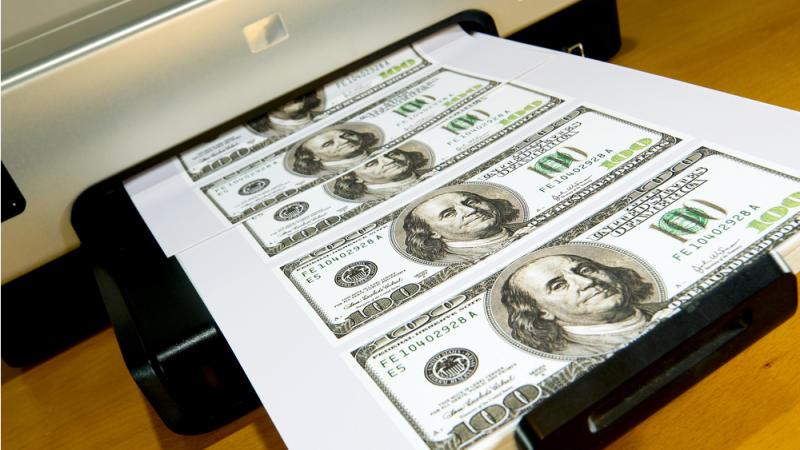 You’re effectively halving the number of pieces of paper you need for each print run. Of course, anything you can do to cut down the number of sheets will help, from reducing the font size in documents to shrinking down several sheets to fit on one page. Not all of these tricks are going to be appropriate for all of your print jobs, but if you put some thought into it you might well be able to save a little bit of ink or paper along the way. These days you can pick up wireless, network-capable printers very cheaply indeed without sacrificing too much on quality along the way. If you’ve got several older printers knocking around the house then it might be time to consolidate your printing operation and set up one central device that all of your family’s computers and phones can link to. It’s going to mean some financial outlay in the short term, but you should get that back over time if you’re all sharing the cost of inks and paper—remember laser is usually cheaper over time if you’re doing a lot of regular printing, otherwise go for inkjet. And if the printer is connected to your network, you can use it from pretty much anywhere. A more radical approach would be to get rid of your printer altogether and rely on printing shops (or maybe friends and neighbors) for your future printing needs. Do you really need to have access to a printer or can you replace your print jobs with other options (like the digital tickets you can generate for everything from flights to gigs on today’s mobile apps)? Check with local stores (and friends and neighbors) to see what they’ll print for you and what their turnaround times are. And always check the print preview page, even if you’re in a rush, before passing your files to the print shop. Sending out botched print jobs is going to end up costing you money, money that can be easily saved if you take the time to double-check your work before printing.